The sibling programme is designed to support those children who are living, or have lived with, a child that has a serious illness. 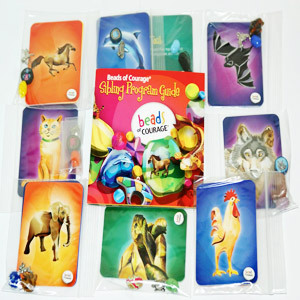 Many of the beads in the pack are in the shape of animals, and they are here to share their attributes with them. The sibling programme is designed to support those children who are living, or have lived with, a child that has a serious illness. 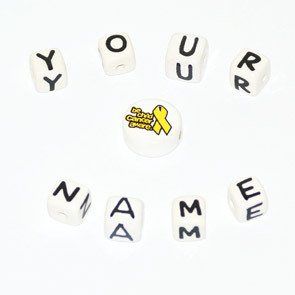 Many of the beads in the pack are in the shape of animals, and they are here to share their attributes with them. Siblings already have so many qualities, and the animals are here to help guide, walk, fly or swim along with them on their own personal journey. Animal friends or guides can be a reflection of our deepest self, and also represent the qualities we need in this world. We hope the special meaning of the animal beads will give them the courage to deal with challenging situations in life and help them recognise their own abilities and strengths. 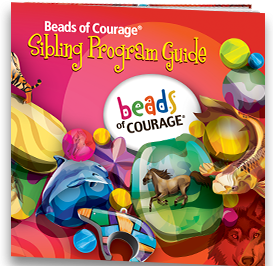 The sibling pack does not include the letter beads. UK Children with a sibling pack will be able to enter BCCA’s seasonal challenges to earn extra beads.